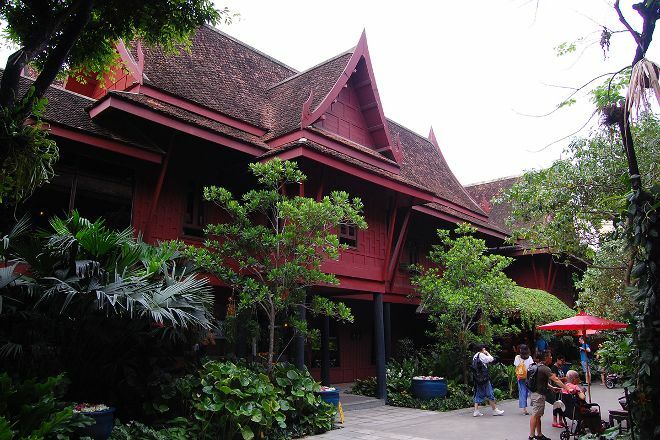 Admire the artful curation of traditional Thai design at Jim Thompson House, a complex of buildings collected from across the country in the 1950s and 60s. The brainchild of American businessman Jim Thompson, this estate brings together classic architectural examples in one place and today offers an interesting introduction into traditional Thai arts and crafts, such as silk spinning. Relax under the verandas of the cool, rust-colored buildings, and admire the work of local craftspeople before enjoying a meal at the onsite restaurant. Use our Bangkok online trip builder to arrange your visit to Jim Thompson House and other attractions in Bangkok. Guide in french, which gives us plenty of information on how to live in Thailand, on the beliefs, habitat. The place is very peaceful, relaxing. We had lunch in the restaurant which is nice. We can then turn left, join the klong and take a boat. My wife and I lived with our daughters in Malaysia for many years. We visited Cameron Highlands a few times and stayed twice in the area where Thompson disappeared. On this trip to Bangkok from Hanoi (where we live now), we decided to see the house he designed and assembled as well as his art collection. Having researched the man's colorful life, I thoroughly enjoyed the 35-min tour. The guide, Mary, was knowledgeable and spoke perfect English. My wife, less the history enthusiast, was also pleased. She was enamored at seeing the actual extraction of silk threads from the moth pupae. We waited about 30 minutes for our turn to tour with Mary. Then post-tour, we had a nice lunch at the restaurant: pomelo salad with prawns, mushroom soup, and Thai iced milk tea. Tasty! As we left, a brief visit to the store convinced us we did not really need any of the silk ties, shirts, dresses, etc. -- a bit pricey. Worth it for some shoppers, but definitely not outlet store bargains.